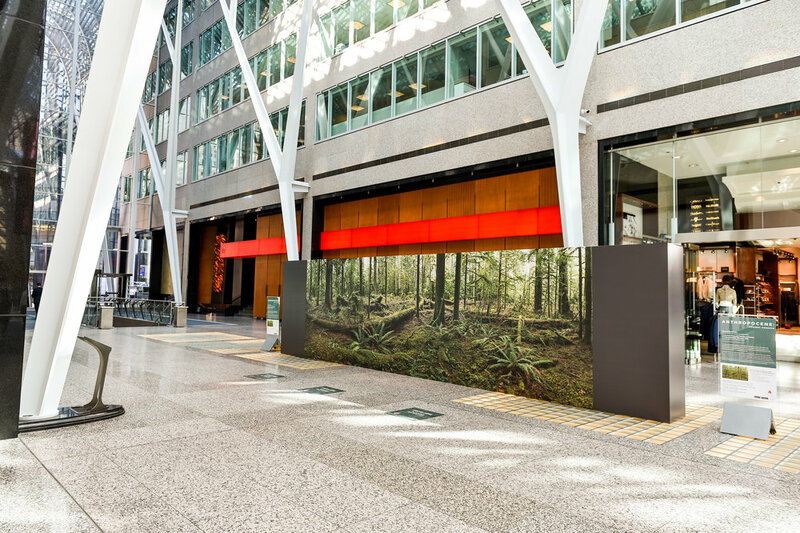 Brookfield Place Toronto presents Anthropocene: Ancient Forests in celebration of Earth Month. 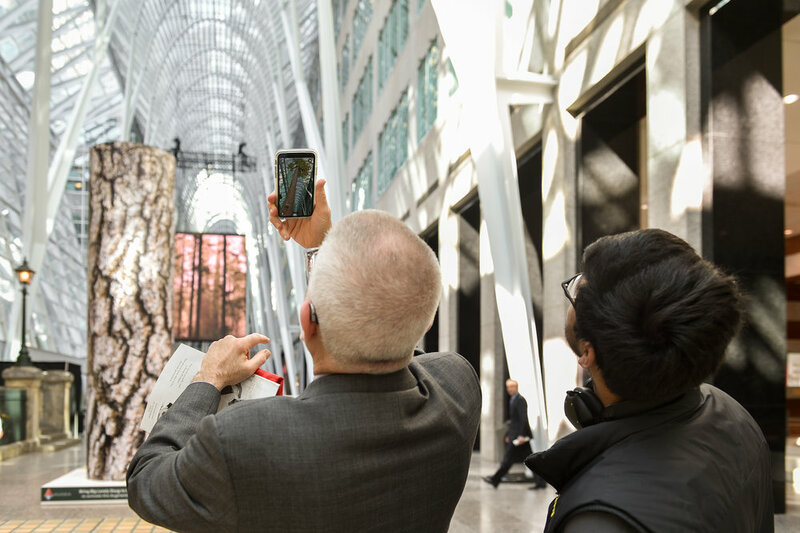 The installation includes two large scale murals (one enhanced with film extensions by Jennifer Baichwal and Nicholas de Pencier), a film installation by Jennifer Baichwal and Nicholas de Pencier, and the Big Lonely Doug augmented reality installation (as seen at the Anthropocene exhibitions at the Art Gallery of Ontario and National Gallery of Canada. 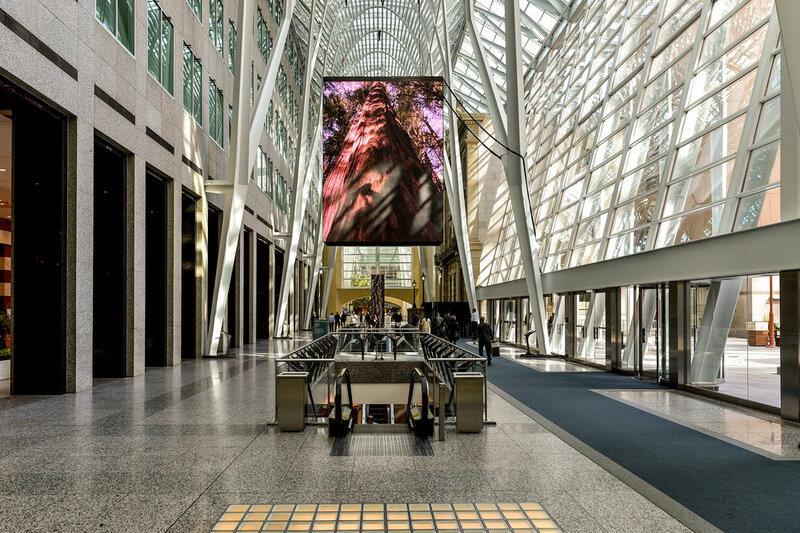 See it in the Allen Lambert Galleria from April 1 to 26.